Happy dogs and a cat at the beach? Well sure! Why not? Watch the video, then read below it what inspired it. It’s set to the super popular hit song, “Happy” by Pharrell Williams. Special appearance from “DIDGA” aka ‘Worlds BEST Skateboarding Cat’. Enjoy! How could you not? Robert trains dogs. After a dog graduates his off leash program, he offers a “doggy outing service”. 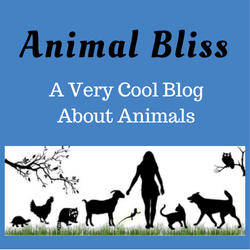 He picks up the dogs (usually between 8-12 dogs), takes them to dog beaches or other dog friendly places, and lets them play together, while continuing to practice the training they’ve learned. he’ll rinse off any sand, trim their nails (if needed), then take them home. 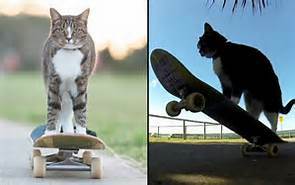 Didga, a 2 1/2 year old cat, aka ‘Worlds Best Skateboarding Cat’, who Robert adopted from the shelter at 13 weeks old, has also joined them on their outings her whole life. She is always a part of the group photos or videos that Robert makes. When not on the group outings, Didga the cat still joins Robert everywhere and loves riding in the car, at times being very “dog like” and sticking her head out the window as they drive down the road. She also rides on Robert’s stand-up paddle board or enjoys a little swim. Most cats don’t like being in water. When Didga was young she didn’t react negatively to water, so Robert took on the HUGE challenge of conditioning her even further, through a positive method of ‘desensitising’ her to like water. FYI – Robert says it was months and months of patience and dedication to achieve what you see in the video. Robert is a professional animal trainer so PLEASE don’t try getting your cat to swim at home. Robert says that although he doesn’t make any money directly from this video because he used the “Happy” song, he couldn’t think of any other song that goes so perfectly with the – Happy Dogs and a Cat at the Beach! MY QUESTION FOR YOU TODAY: Was that fun, or what? I really enjoyed the “Happy” video. I’ve never heard of Catmantoo, but I just had to hop off your page for a few minutes. Wow, I’ve never seen a cat ride a skateboard and the tricks he did was freakin’ awesome. The best part was towards the end where the skateboard when in between the Rottie’s legs and he jumped over him! Lol. But it is interesting to see what they are able to do . 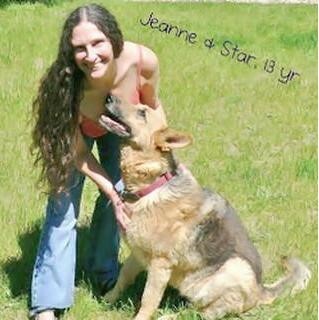 Way cool Jeanne! Did you note how many exceptional animals like this cat were saved from shelters? So much love out there, so much fun, if we’ll just learn to spay, neuter, and adopt the awesome lives that are already out there.